Comment: This is a new home, I want new gutters and downspouts. "Licensed Contractors Only" EXCEPT: GALE CONTRACTOR SERVICES. Comment: i would like to get pricing. Comment: House has no gutters. The recent high rainfalls have revealed that gutters would be helpful. Comment: This is a new home at: 12901 West Elwood Street, Avondale AZ 85323. 1.AII Contractors MUST be Bonded and licensed in Arizona. 2. I need new gutters and downspouts. 3. Come show me your product and convince me that your product is yhe most durrable. Comment: l shapedne, 1 run of gutter approx 27 ft.the other leg 15 ft. with one downspout. Comment: I would like an estimate on getting new gutters installed on my house. The Fix It Guy, Inc.
Avondale Gutter Cleaning & Repair Services are rated 4.72 out of 5 based on 83 reviews of 2 pros. 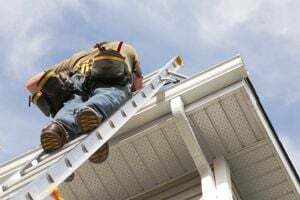 Not Looking for Gutters Contractors in Avondale, AZ?